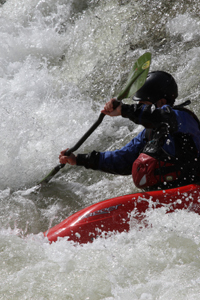 Touring kayaking is accessible to all ability levels, so if you have the fundamental kayaking skills (1 Star kayak, SOT or SUP) or for tandem open canoe no experience is necessary then enjoy a journey in a relaxing environment on a canal and placid river. Paddling a solo open canoe, for more challenging moving water (grade II) and large lakes, improvers (2 Star) level experience is required. Socialise as you paddle through interesting landscape scenery and industrial history while blackberry picking; visit tea shops with cake on route or after the trip. Canoe and kayak touring are also a good ways to journey through the countryside and camp overnight either at a fixed campsite or more remote wilderness locations. Touring also prepares you for paddling a longer straight running craft; and for those who wish to do sea kayaking you can improve your paddling technique before moving onto the sea.